Disorders of the gut microbiome have been connected to a multitude of adverse conditions, including obesity, type 2 diabetes, cardiovascular diseases, inflammatory bowel diseases, anxiety, autism, allergies, and autoimmune diseases. Despite the overall skepticism, in the past decade, growing evidence has shown that the composition of the gut microbiota and its activity might be associated with perturbation of the nutrients’ absorption and the onset of inflammation in the host . Therefore, the gut microbiome might “coordinate” individual responses to environmental factors to explain penetrance of certain disorders beyond genetics . It has been also recently hypothesized that loss of the microbiota–host equilibrium may explain the onset of “pre-disease” states (pre-diabetes, pre-hypertension, etc.) and thus explain the explosive development of chronic diseases such as inflammatory bowel disease, obesity, and other metabolic/inflammatory disorders . Recent data suggest that alterations in gut microbial and metabolic composition may be responsible, in part, for induction of chronic inflammation, thus promoting glucose intolerance and cardiovascular disease [4, 5]. In obesity, diabetes and Non Alcoholic Fatty Liver Disease bacterial diversity differs between lean and obese, with increase in Firmicutes to the detriment of Bacteroidetes as well as an overabundance or depletion of certain species, including Prevotella copri and Akkermansia muciniphila [5, 6, 7]. Most of the studies employing metagenomics methods found that metabolic disorders are associated to reduced measures of bacterial gene count or richness [8, 9]. Patients with insulin resistance and steatosis show signs of reduced microbial gene richness and increased genetic potential for processing of dietary lipids and endotoxin biosynthesis (notably from Proteobacteria), hepatic inflammation and dysregulation of aromatic and branched-chain amino acid (AAA and BCAA) metabolism . In subjects with NAFLD disease progression to advanced fibrosis is characterized by statistically significant increase in abundance of the Proteobacteria phylum a while the Firmicutes phylum decreases . Analysis of microbiota communities in human oral, gut, and atherosclerotic plaques from individuals with established atherosclerosis showed a reproducible correlation between CVD and bacterial pathogens, including Chlamydia pneumoniae, Porphyromonas gingivalis, Helicobacter pylori, and Aggregatibacter actinomycetemcomitans . Another study found that Collinsella spp. are enriched in subjects with atherosclerosis, while Eubacterium spp. and Roseburia spp. are more abundant among healthy controls . Finally, research over the past decade has uncovered several key microbial metabolites, such as trimethylamine-N-oxide (TMAO), short-chain fatty acids (SCFAs) and secondary bile acids that uniquely affect the progression of CVD . 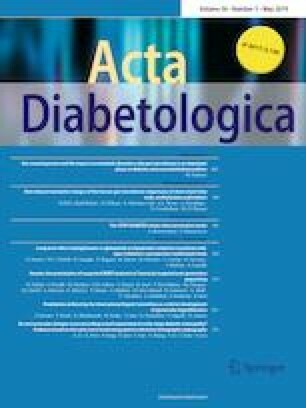 Few contributions about microbiota were published in Acta Diabetologica in the last 5 years [14, 15, 16, 17, 18]. However, given its relevance, we open a new topical collection dedicated to the gut microbiome and its impact on metabolic disorders. Dumas and colleagues discussed the relevance of Diet-Induced Metabolic Changes of the Human Gut Microbiome and in particular they focus on microbie-derived metabolites such as short-chain fatty acids, methylamines and indoles . Fernandez Real and colleagues showed new evidence connecting glutamate to gut microbiota composition and metabolic phenotypes . Finally, Liang Ma and colleagues illustrated the links between gut microbiota and diabetic nephropathy . We call for new submissions to Acta Diabetologica to enrich the gut microbiome open-ended topical collection. M.F. work related to this manuscript was in part funded by EU-FP7 FLORINASH (Health- F2-2009-241913), Ministry of University (MIUR) Progetti di Ricerca di Interesse Nazionale (PRIN) protocol number 2015MPESJS_004 and 2017FM74HK. The author is co-inventor on pending patents held by INSERM Transfert, INSERM, University of Rome Tor Vergata, University of Girona and Imperial College on NAFLD diagnostics and has the right to receive royalty payments for inventions or discoveries related to NAFLD diagnostics. This article is a commentary and does not contain directly studies with human participants or animals performed by the author. For this type of study formal consent is not required .